Do you need to add, edit or delete a ruleset for your OptinMonster campaigns? 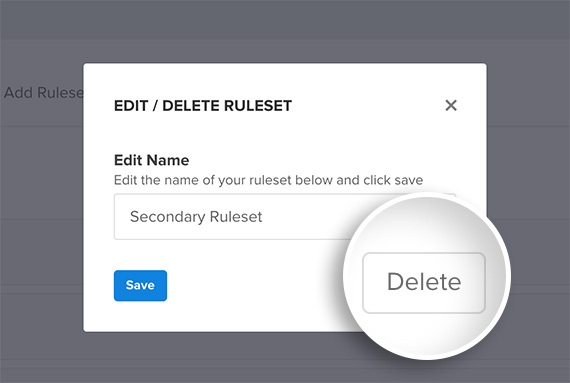 We make it easy to manage your rulesets! 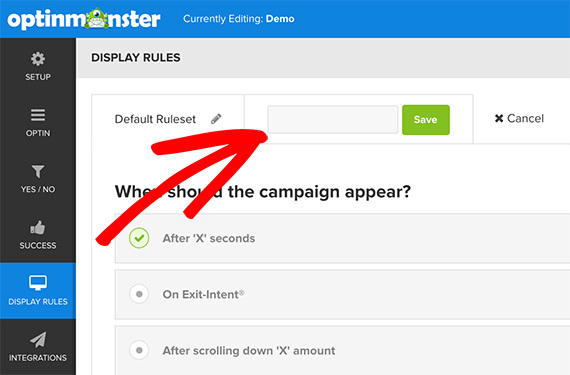 Follow this guide for a walk-through of adjusting your rulesets in OptinMonster. A ruleset is a collection of “rules”. Each ruleset can have 0 to many rules. For each campaign, only 1 single ruleset needs to have all of its rules pass in order for a web visitor to see that particular campaign. Because only one ruleset must have its rules pass in order for a campaign to show, this means that rulesets operate as OR operators in a technical sense, as opposed to the rules within a ruleset, which operate as AND operators. In the Builder, click on the Display Rules tab. 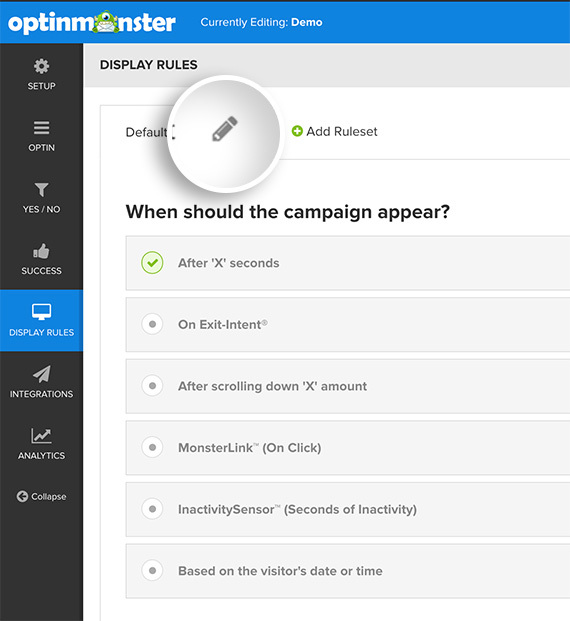 Click Add Ruleset at the top of the page. The Add Ruleset text will change to a text box for you to give the new ruleset a name. Give the ruleset a descriptive name and click Save. Once you have saved, there will be a new tab with the ruleset’s name. You can then click on the new tab to add, edit, and delete the rules for that ruleset. To rename a ruleset, click the pencil next to the name of the ruleset. Then, enter the new name of the ruleset and click Save. 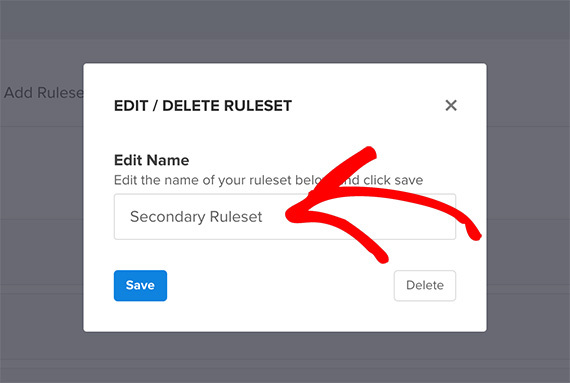 To delete a ruleset, click the pencil next to the name of the ruleset. NOTE: Each campaign must have at least one ruleset. 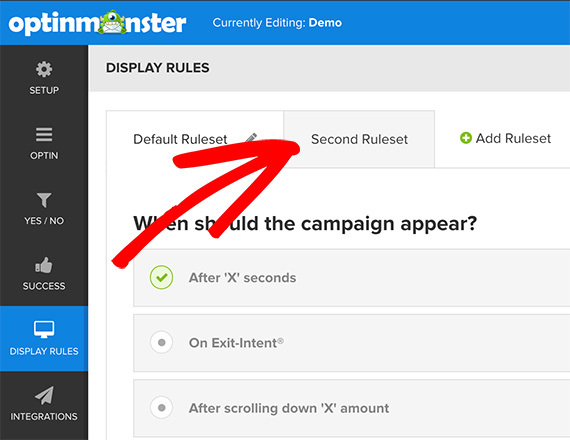 If your campaign only has one ruleset, you will not be able to delete it until you create a new ruleset. 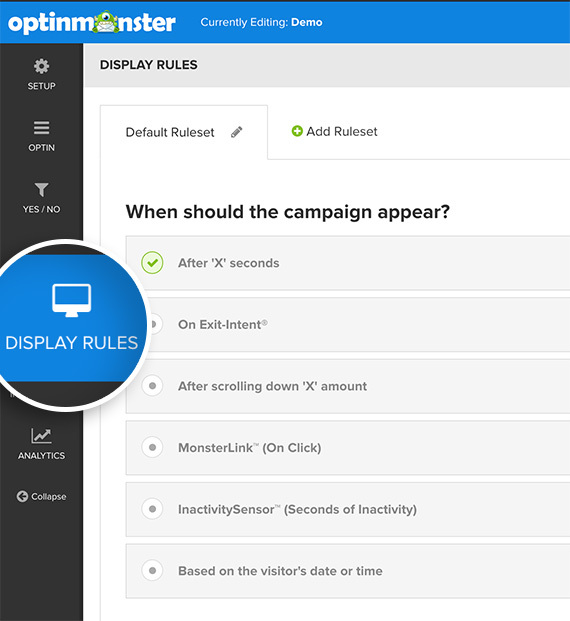 Ready to configure your display rules? See our post on how page-level targeting helps you generate more leads.